Amaya Alvarado is a circus artist with a passion for art, social justice, and human connection through movement. After completing the Professional track program at the Circus Warehouse in NYC, she went on to graduate from the New England Center for Circus Arts (NECCA), where she also completed their teacher training workshops. Amaya is Co-creator of the Contemporary Circus, Dance, Theatre show "Tinder and Ash" which was born through a TOHU arts residency in Montreal at the national circus school. As a performer and choreographer, Amaya seeks to make art that matters in the world and inspires people. As a teacher, she seeks to uplift, empower, and facilitate experiences of joyful spontaneity and growth. Victoria comes from a background in movement arts, ranging from martial arts to volleyball to musical theatre. She discovered circus arts in high school and has been training ever since. She trained with The Circus Project's Training Company for a few years, and recently graduated from SANCA's Professional Preparatory Program in 2018. Victoria specializes in aerial, but also enjoys a good juggling session every now and then. When not hanging upside down in the air or coaching, you can find her at her sewing machine, reading, or cuddling her cat. Diana began her circus career at Wise Fool New Mexico, in her hometown of Santa Fe. She has since spent the last 10+ years practicing, performing and teaching circus arts and aerial dance. Most recently she has performed with Kazum Acrobatics, PTCirc., and the Echo Theater Company. As a certified yoga instructor, Diana’s focus is on alignment, form and breath. She uses movement arts to teach body/mind awareness, unique expression, and empowerment. Nick was born and raised in the Portland, Oregon area. He has been an avid athlete his entire life; playing soccer, distance running, rock climbing and practicing yoga. He was first introduced to circus when two clowns came to his elementary school to perform and teach juggling, and it sparked his interest for life. In high school Nick was drawn to fire dancing and then later, acro yoga in college. However, it was not until he discovered Cyr Wheel that he became completely enamored. With no prior experience or training he acquired a Cyr Wheel and began a disciplined practice of his own. With a high level of expertise, he now performs with Portland's Wanderlust Circus and USC entertainment company. Nikki Cavanaugh is originally from Woodbridge, Virginia. Nikki started cheerleading at age 4 as a mascot for her brother’s football team and then began competitive cheerleading at the age of 6. She has total of 18 years cherleading experience and competed in the 2006 Cheerleading Worlds. As an adult, she has performed with CHEER San Francisco and participated on the 10th season of television show “America’s Got Talent” in 2010. Nikki has 17 years of experience in coaching competitive cheer, stunting, acrobatics, tumbling, and choreography. As an adult she found Circus arts and has been training and coaching since 2013. She specializes in teaching partner and floor acrobatics, aerial silks, conditioning, and contortion. Alicia Cutaia earned her BFA with honors from Point Park University with a double major in Classical Ballet and Jazz. Her previous training included scholarships at Hubbard Street Dance, North Carolina Dance Theater, and River North Dance Company. She has worked with and performed pieces by many renowned choreographers, including Lauren Edson, Jamey Hampton, Ron De Jesus, Gina Patterson, Lar Lubovitch, Louis Falco, Michael Foley, Keisha Lalama-White, Joel Hall, Lou Conte, Daniel Gwirtzman, Lynn Taylor-Corbett, Daniel Ezralow, Choo-San Goh, Alan Hineline, Harrison McEldowney, Kevin O’Day, Frances Patrelle, David Storey, Margo Sappington, Christian Holder and Bianca Sapetto. Ms. Cutaia previously worked as Rehearsal Director, Costume Manager and Dancer with Eisenhower Dance, Dancer with Hubbard Street Dance and Giordano Jazz Dance Chicago. She also enjoys teaching and setting choreography nationally. Her choreography has been showcased at many choreographic festivals such as the Jazz Dance World Congress “Leo’s Choreography Competitive Event”, the “Maggie Allesee New Choreography Award”, “Michigan Youth Arts Festival”, "Dance Chicago", Harvest Contemporary Dance Festival, Kaleidoscope Dance Festival, Midwest Rad Festival and the “NSAL Mid-Michigan Chapter.” Her work "Impact" was recently set on Eisenhower Dance. Her choreography for competition studios have won many National awards. Some of Ms. Cutaia’s teaching credits include the Lou Conte Dance Studio, Oakland University, American Ballet Theatre, Dance Theater of Harlem and the Eisenhower Center for Dance. A number of Ms. Cutaia's students have been accepted on scholarship to many prestigious summer and college dance programs. Ms. Cutaia is looking forward to her second season working with Bodyvox. Amanda started her circus career when she started taking silks classes back in 2013. She has since spent the last 5+ years training, performing, and teaching circus arts and aerial dance. Before finding her love for circus arts Amanda was a competitive gymnast and springboard diver. Amanda performed with Circus Bacchus and Flagstaff Aerial Arts from Flagstaff, AZ from 2014 through 2018 before she moved to Portland. She was the co-director of Circus Bacchus from 2016-2018 and taught aerial silks and trapeze with Flagstaff Aerial Arts from 2014-2018. 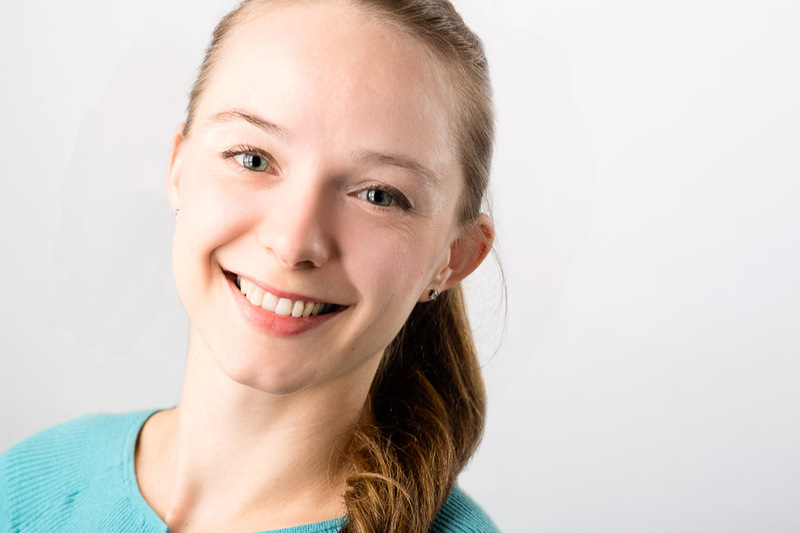 Amanda is a certified aerial instructor after completing NECCA/ Nimble Art's Intro to Teaching Aerials in February 2018 and also has a Masters in Counseling. KC Fong has over 4 years of general circus arts ranging from partner acrobatics, straps, and tumbling. He loves to dabble in all forms of movement like dance and weight training. You can usually find him in the studio doing straps, dancing, or on his computer making graphic designs. Stefan began competing in gymnastics at an early age in Vienna, Austria, where he was born and raised. He attended the Coaching School for Gymnastics while simultaneously embarking on a career as a massage therapist. After competing in several National Championships as part of the Austrian National team, Stefan moved on to Sports-Acrobatics. Stefan was a National champion in men’s pair and men’s four and made it to the top twelve at World Championships (1988) in Men’s Pair. He is a co-founder of the Austrian Sports-Acrobatics Federation, and coached the Austrian national team from 1987-1989. Stefan brought his acrobatic mastery to the U.S. in 1989, coaching gymnastics and sports acrobatics at Gymnastics Plus in Maryland until moving to the Pacific Northwest in 1996. In addition to his work with the Circus Project, Stefan practices massage therapy. Stefan’s intimate knowledge of anatomy and physiology, coupled with his 30 + years of experience as an acrobatic champion and coach, have enabled him to develop a unique training methodology for partner and sports acrobatics, tailored to both children and adults, beginning through professional levels. Nate Hughes began practicing circus arts in 2009 while attending Humboldt State University in Arcata, CA. He was immediately drawn to juggling, tight wire, and clowning, and began performing with the Humboldt Circus. In 2012, he joined his first social circus organization, The New Old Time Chautauqua. He toured with the group for the next 5 summers, teaching workshops and performing in shows at hospitals, youth centers, senior living facilities, prisons, and mental health facilities. On these tours he saw how circus arts can be medium for rehabilitation and act as a catalyst for personal growth and change. Then in 2015, he decided to take social circus to Guatemala and start a free circus arts education program at the Los Patojos School in Jocotenango. Funded by a crowd-sourcing campaign he designed a curriculum, taught classes, trained two teachers, started a scholarship program for the teachers, and donated over $2000 worth of circus equipment. Today, 'Circo Patojiano' is still functioning and 250 kids are receiving free circus arts classes as part of their regular curriculum. When Nate came back to the U.S. in the summer of 2016 he performed with Circus Luminescence, Flamebouyant Productions, and by himself until hired by the Circus Project in December of 2016. He has taught and performed Circus Arts for the San Francisco Public School District, the Chameleon Theater, Motion Magic, and across the west coast and Central America. Deemed an “aerialist par excellence” by the Seattle Times, Kari has graced the stage in over 30 major U.S. cities and internationally with the Seattle Opera, Pallazo Variety, Freidrichsbau Variety (Germany), Festival Burlesco (Portugal), and Teatro Zin Zanni (Seattle), among others. Marysia’s circus career was kickstarted by a chance encounter with a set of juggling balls at age 8 and she’s been making objects (and herself) airborne ever since. A self-taught juggler and fire performer, she discovered aerial performance and acrobatics with the Olympia Tallhouse Arts Consortium in college, later narrowing her focus to contortion and handbalancing. Following college, she trained at Galpao du Circo in Brasil before moving to Portland and landing in the first Training Company at The Circus Project. Since then, she’s trained at SPIN Circus in Australia, completed the pre-professional program at the School of Acrobatics and New Circus Arts (SANCA) in Seattle, and is currently in her second year of the Pro-Track program at the New England Center for Circus Arts (NECCA), specializing in handbalancing. Her work developing and teaching summer camps began with the Theatre Under the Trees Shakespeare camp as a teenager in Pennsylvania; she then went on to work for CircEsteem’s social circus outreach camp program in Chicago, followed by Oregon Tradeswomen’s Building Girls construction camp in Portland before becoming the Official Summer Camp Ringmaster at The Circus Project. She will, when dared, attempt to balance nearly anything on her face. Marina’s aerial career began sometime in 2000 when she first got introduced to the world of flying trapeze and aerial arts. She fell in love with the performance and self-expression aspect of the art. Marina has been a solo and a collaborative creator on a variety of productions throughout Europe, South America, California and currently in Oregon. Some of the companies she has worked with are Cirque Destino, Trapeze Arts, Kinetic Arts Center, Trapeze World, Head Over Heels Athletic Arts as a Circus Program Manager, Zippo’s Circus and more. Later, Marina discovered her passion for teaching circus arts to kids and the benefits it has on the developing youth. In 2007 she co-founded Vagaboom! / Living Dream Arts and recently Circus In Motion. Marina is the co-author of a 2-week Circus Training Guide for teachers at Galileo Learning Center. 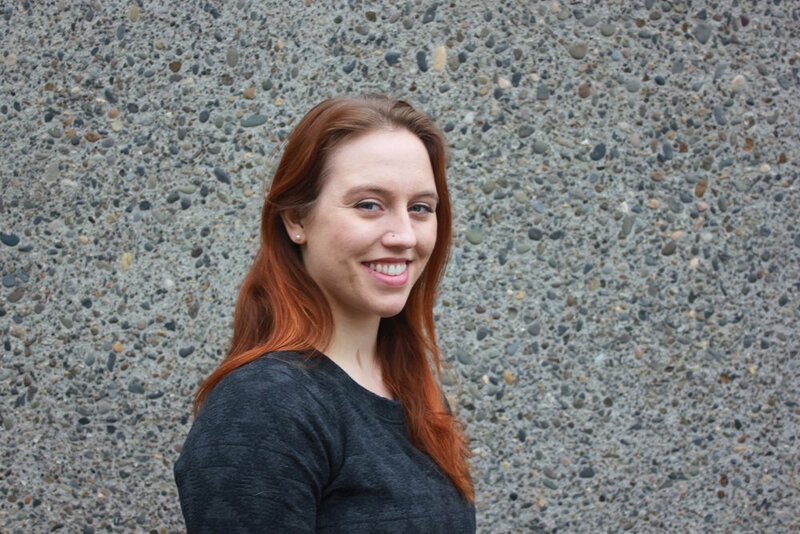 Marina continues to spread the joy as a performance and movement arts educator at The Circus Project and schools throughout Portland. Anni is a German artist and has been juggling for more than 16 years. As a graduate of one of Europe’s primary circus schools, the Fonty’s Academy for Circus and Performance Art (Netherlands), she has not been touring Europe and the world as a full-time professional juggler with her solo work. Anni’s acts are shaped by conceptual ideas coming from Performance Art and combined with high skills and a charming, authentic stage character. She was awarded the Judy Finelli Award for the “Most Inspirational Juggler” as well as the Ben Linder Award for Inspiration. In addition to performing in variete, gala shows, theater, art festivals and events, she has become a sought-after juggling teacher and has coached at juggling conventions and circus schools from Singapore to Israel, Japan and Mexico. She is a graduate of the NECCA’s Professional Track Training Program where she specialized in dance trapeze and Chinese pole. She is a certified yoga instructor, has completed several aerial teacher trainings by Nimble Arts, and is a certified Cyr Wheel coach by the USA Wheel Gymnastics Federation. Her performance background includes Jo Krieter’s Flyaway Productions, Project Bandaloop, Supperclub, the Boston Circus Guild, and iExperia. She has appeared at the San Francisco Opera House, San Francisco Exploratorium, the Boston Museum of Fine Arts, the Peabody Essex Museum, A.R.T.’s Oberon and the Boston House of Blues. In 2012 Kate was awarded the RAWArts Boston Performing Artist of the Year. She loves reading, knitting and ninjas. Captivated by the circus at an early age, Alison began her circus training with preschool classes at Acrosports in San Francisco. Spending most of her life surrounded by inspiring people and immersed in the circus world Alison has learned a lot about acrobatics, dance, juggling, contortion, clowning and aerial arts. She has trained at a number of schools around the United States, Canada, Switzerland and France. Most notably the Mongolian Contortion Center in San Francisco and Kinetic Theory in Los Angeles. She also studied Psychology and Kinesiology and graduated Occidental College. Alison loves to share her skills with audiences and students. Alison's specialty is aerial corde lisse. Her technical skill, flexibility, and comedic flair have made her a crowd favorite. She has performed at many celebrity and corporate events. She has appeared on television shows Baskets, Jump Shipp, and the NBC Upfronts. She works for entertainment companies Way 2 Much Entertainment, Eye of Newt Cirque, Wonderworld Entertainment and Kinetic Theory. She's been in a number of shows including Cirque-A-Palooza at the Pasadena Playhouse and Cirque Montage at the Dubai Shopping festival. Rhen discovered the universe of circus arts as an adult while working on her doctorate degree in social work. She was reminded that a desire for movement arts and acrobatics had long been present and began seeking intensive training opportunities. Rhen found a home at the Circus Project and has trained with Circus Project's Training Company, Elements, since the summer of 2014. She also produces shows locally as M.F.Motion. Rhen works and teaches in social work with a focus on social justice and equity in youth-serving organizations, when she is not teaching or training. She is passionate about creating inclusive and encouraging spaces for students of all ages to learn and explore the magic of circus. Gwen fell in love with the circus at age four, though it would take her another twelve years of artistic & rhythmic gymnastics, vocal performance, and competitive writing before she tucked under her first trapeze bar. Gwen’s training began in Portland, Oregon primarily at the Echo Theater School (formerly DoJump! Extremely Physical Theater School) and the Circus Project. During her time within these Northwest organizations, Gwen received training in a diversity of aerial apparatus, contortion, partnering, and physical theater. Gwen is newly returned to the Portland area after exploring Kansas City Aerial Arts as an instructor, performer, and choreographer. She is thrilled to be back in her native Northwest! Gwen has been teaching movement-based art since 2013. Her teaching style emphasizes sustainable movement patterns, theatrical presentation, and independence in the air. Ashley found aerial arts as a creative outlet while earning her MSW from the University of Chicago. It quickly went from a personal weekend activity to a part of her daily life and has since intertwined with her social work career. Ashley used circus as a medium for building social cohesion in underserved elementary schools in Seattle, WA, as the foundation for an anti-bully after school program in Panajachel, Guatemala, and has also lead young adult acrobatic yoga workshops for a boarding school in Dalhousie, India. Currently Ashley is the Policy Advocate for early childhood at the Native American Youth and (NAYA) Family Center and conducts impact evaluations for their culturally-specific Head Start programs. She keeps things on the up and up with all things aerial, and gets grounded with partner acrobatics and hooping! Rachel Randall’s latest adventure was a six month tour of the US with the Zoppe Family Circus, performing duo Chinese pole with her fiance Nick Lowery. Nick & Rachel created Duo Straight Up in 2014 and have been charming audiences ever since. Before going on tour, Rachel coached at SANCA for 11 years, including leading the dance portion of the Professional Preparatory Program and had the honor of directing the contemporary circus show, “Submerged,” in collaboration with the students and staff of SANCA’s Professional Preparatory Program, class of 2018. In addition to circus, Rachel also has been doing freelance dance and choreography since 1998, holds a Professional Diploma in Dance Studies from Laban in London, and a BA in dance and anthropology from the University of Washington. She has danced for companies such as The Seattle Opera, Khambatta Dance Company, DASS Dance, The National Theater of Ghana Dance Ensemble, and her own RandAll Dance. Rachel is excited to be coming back to the Pacific Northwest and for the opportunity to coach at The Circus Project. Saidah started her upside-down career in artistic gymnastics at the age of 2. She switched to acrobatic gymnastics in 2003 and trained and competed in several women's pairs at the state, regional and national level until 2008. Saidah has trained under, and coached alongside several great acrobatic coaches, including Arthur Davis III, Sheri Reiakvam, Stefan Furst, and Yuri Vorobyev. During and after her competitive career, Saidah has coached preschool and school-age gymnasts and acrobats. She has also studied Child Development, which allows her to bring creativity and an understanding of children's social, physical and mental progress. Saidah currently develops acrobatic gymnastics programs and is building her circus and acrobatic repertoire. Keri has a passion for movement, dance, expression, play, and also for creating space—where one feels safe to open, to explore, and to be challenged, while holding space to greet ourselves exactly as we are. She grew up doing gymnastics and then pursued her passion for snowboarding where she taught, guided, and competed. She became wildly inspired by aerial arts and has been playing with silks, trapeze, and lyra since 2011, as it was a natural transition and evolution from previous styles of movement and play. Yoga has been another fulfilling passion she has ben studying for over a decade and has been teaching since 2011 in styles of vinyasa, yin, and the unique specialty style of aerial, the coupling of a yoga practice and aerial dance where she found the playful duet of the two styles. She loves the accessibility of the aerial silks in a yogic setting and sees the apparatus as an incredibly versatile tool—to serve those in need of a little more support; as a therapeutic chrysalis with yin infusion; to offer a new, exciting way to practice; to experience divine, restorative inversions; and for those who want an extra challenge and to fly in colored fabric. She has also studied with her friends of Air Yogalates founders and Cirque du Soliel performers who have created an aerial yoga program that is infused with vinyasa, Pilates, hatha, and yin. You can also find Keri taking tribal, cabaret, and temple belly dance classes, barre and Pilates. Keri believes in creating a safe practice space for body, mind, and spirit—both in life, and when teaching yoga and aerial. She sees yoga as a cultivation of self- and collective awareness, self-love, compassion, and a practice of being present. Her style of teaching focuses on intention; the condition of mind, heart, and breath; and finding depth. Her approach is characterized by playfulness, mindfulness, and presence. She looks forward to practicing with you! Ari's creative movement experiences include gymnastics and Aikido as a child, and latin dance, acrobatics, clown and aerial dance as an adult. Ari has performed with the Echo Theater Company, Sir Cupcake's Queer Circus, Kazüm, Wanderlust Circus, and Pelú Theater. Ari is inspired by collaborative creative movement- he has found that moving together with others can have an amazing transformative power to break through barriers of perceived limitations. Gravity, balance, strength and imagination all compliment each other to create new shapes and meanings that did not seem possible before achieving them. This collaboration rings true physically as well as socially for Ari; he has worked with non-profit social change organizations for many years and has been awed by the amazing transformative power of a group of people dedicated to collaboration for the purpose of making something beautiful. Russ Stark is an Aerial Acrobat, TV and Film performer, Gymnast, Acrobatic Instructor, and Aerial Apparatus Rigger. He received his training from Bitterroot Gymnastics Center, University of Montana and Cirque du Soleil. Russ' live performances and industrials have included Target, Wal-Mart, Rite Aid, American Music Awards (Enrique Iglesias), Grammy Awards, Fiat International, Olympic Tour of Champions, Cirque du Soleil (Quidam and Dralion), Detroit Opera House, Lady Gaga, Cirque Berserk, Ledzaerial, Cirque Mechanics just to name a few. His TV and Film performances have included Water for Elephants, Chronicles of Riddick, Walt Disney’s Zack and Cody. He is also trained in teaching Aerial Harness, Silks, Corde lisse, Spanish Web, German Wheel, Trampoline Wall, Artistic Gymnastics and Acro for Dancers. Russ has also traveled throughout South America to do Community Outreach. He also enjoys traveling nationally conducting Acro and Gymnastics Master Classes, Workshops and Intensives. Jack is an aerialist and clown. Jack holds a BFA in theater and Original Works from Cornish College. He studied clowning with David Taft, Sue Morrison, Sarah Liana Foster, and Russian Master teacher Ghenadi Bogdanov. Clowning lead to the whole gamut of Circus Arts! As a performer Jack has toured nationally with DoJump!, and along the West Coast with his own blend of Clowning and Aerial dance, including the National Queer Arts fest in San Francisco, and Not All Clowns are Bozos in Seattle. As a director Jack has been making original work with youth and adults for 10+ years. Jack is also a founding member of PTC, a queer adult circus which assists Trans individuals with fundraising for surgery costs. Jack believes firmly in the power of play, focus and hard work to make innovative circus theatre that can lift up an entire community. Trevor was born in Tula, Russia and was adopted at 11 months old. He was first fascinated by performing when his father showed him a coloring book that colored itself! Since then, he's dedicated his life to entertaining people. 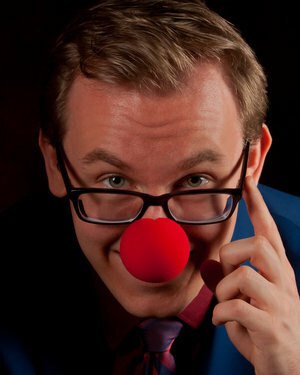 He's been performing since he was three years old and discovered the circus where he fell in love with clowning. He has worked in many venues including restaurants, fairs, festivals, colleges, businesses, and television. Throughout the years, though mostly self taught, Trevor has worked with many clowns including Kelly Ballagh, Greg DeSanto, Karen Hoyer, Iman Lizarazu, Tricia Manuel, and Terry Ricketts. He was also accepted into the International Brotherhood of Magicians. Besides being a variety entertainer he is also a choreographer, director, fight choreographer, and an award-winning actor back in Wisconsin. He recently moved to Vancouver, WA and is excited about the new opportunities that are to come! Brittany Walsh competed in the sport of gymnastics for 11 years, and also coached, as well as choreographed, for national level gymnasts for 3 years. In 2005 she joined Do Jump Extremely Physical Theatre as a company member and instructor. While performing and touring with Do Jump, Brittany was able to hone her skills in acrobatics, aerial, and theatre. Now she primarily works as a solo hand balancing and contortion artist performing all over the globe. She is the World Record holder in Acrobatic Archery.